The Waltham Watch Company started as the embodiment of the American dream but ended as a nightmare. Over the course of 150 years, the Waltham Watch Company would manufacture thousands of watches. Presidents and explorers would wear Walthams and the company would become one of the most recognisable names in American watchmaking. But what started as one of the most successful American brands ended in Government bailouts. The founders of the Waltham Watch Company were David Davis, Edward Howard and Aaron Lufkin Dennison. Founded in 1850 as the American Horologe Company, the goal was to be the first watchmaking company to succeed in using machines to mass produce watches. At the time, all watches produced in America were handmade, with each piece individual to a particular watch. The idea of using machines to make watches was revolutionary and all other attempts have failed but Dennison knew it could succeed. His visit to the Springfield Armory had shown that a system of manufacture capable of making precision parts was possible. What he wanted to prove was that it could be used to make watches. The American Horologe Company moved into an old factory in Roxbury, Massachusetts in 1851. The first 17 watches produced were hand-made prototypes created by the head watchmaker, Oliver B. Marsh and were marked as 'Howard, Davis & Dennison". The following 783 watches were marked as 'Warren, Boston' or 'Samuel Curtis' (The financial backer of the company). The first 800 watches remain some of the most rare and valuable watches producing by the company. Watches No. 1001-5000 were named either "Dennison, Howard & Davis", "P.S. Bartlett" or "C.T. Parker". In 1853 the company had moved to Waltham and built a new factory on the banks of the Charles River. The name of company changed to the Boston Watch Company. Soon financial unrest resulted in one of the founders leaving to form his own company, E. Howard & Co and by 1857, the Boston Watch Company was bankrupt. The estate and stock sold at auction to a New York businessman named Royal E. Robbins who renamed the company Appleton, Tracy, & Company. Robbins began huge renovations of the factory, which would for fifty years be the largest contiguous building in the world. The 800ft long building would have 7 miles of steam, gas and water pipes criss-crossing under the floors where three quarters of a mile of workbenches stood. Long, narrow wings extended from the main building and large windows allowed natural light to flood the workspaces. 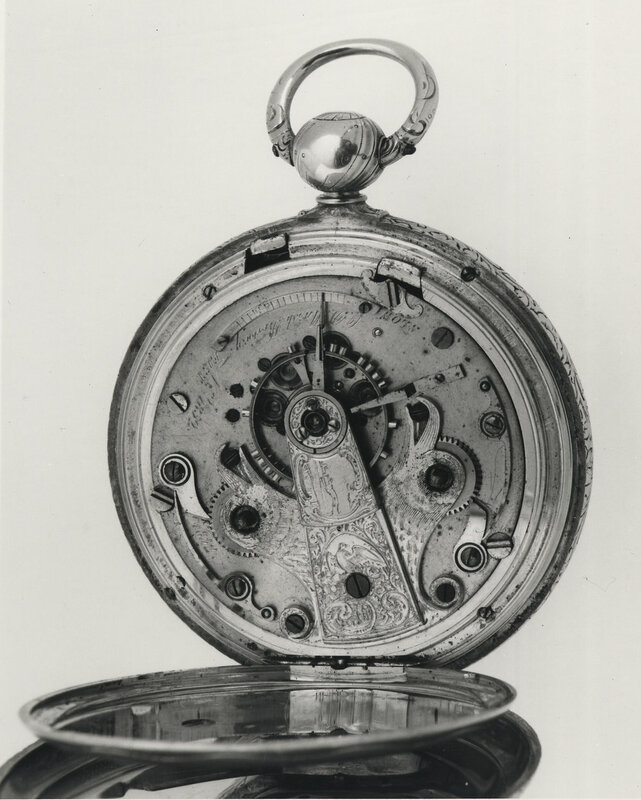 Through Robbins' bankrolling and Dennison's supervision, the company was able to produce a pocketwatch that the working man would afford. 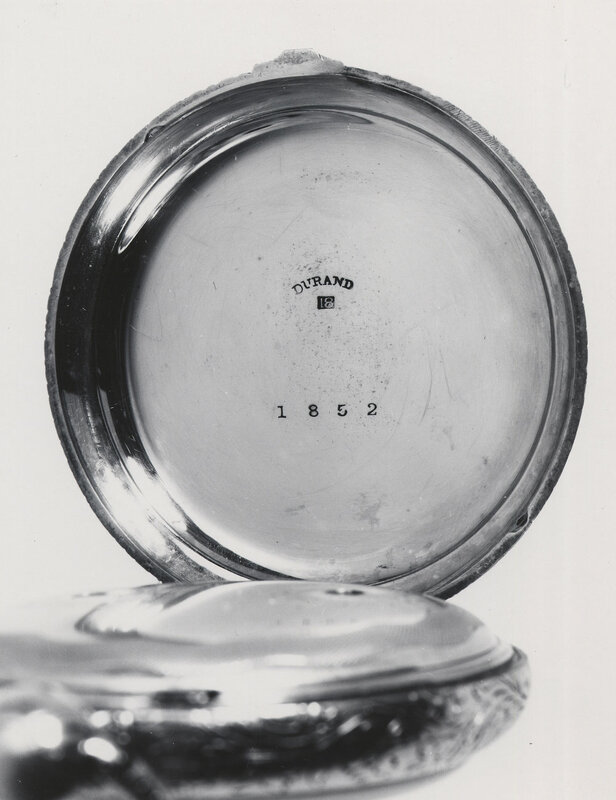 The golden age of Waltham began with the William Every Model 57 and by 1859, the company was renamed for third time to the American Watch Company. The American Waltham Watch Factory circa 1906. During the Civil War, Union soldiers were able to buy a Model 57 for $13 and by the end of the war, the Model 57 accounted for 45% of Walthams sales. After the war, Waltham became the main supplier of railroad chronometers to the burgeoning railroad industry of America. Canals were out, railroads were in. The Waltham Model 1870 Crescent Street was the first American watch designed and marketed as a railroad watch. By 1885, the company was renamed for a fourth time to the American Waltham Watch Company. In 1902, Royal E. Robbins, the man who had saved the company in 1857, died. The long, thin corridors and high windows allowed natural light to flood the building. With Dennison having moved to England and Robbins dead, the company started to flounder. Five years later and for the fifth time, the company changed their name to Waltham Watch Co., and the followings years were very dark times for Waltham. The factory repeatedly shut down, workers striked, a shipment of watches worth $20,000 was stolen on their way to London and the company fought American jewelers who sold their watches at lower prices. In 1923 the company changed their name to the Waltham Watch and Clock Company and in 1925 they changed again to the Waltham Watch Company. In 1941, the Department of Commerce began investigating Waltham for conspiring to withhold watches from certain retailers. The DoC believed that Walthams business practise had aided the increase of Swiss watches into America at the cost of American labor. Waltham were due to enter court in 1942 but the proceedings stopped when America entered World War 2. Waltham was back in business as they began producing watches for the U.S military under the famed A-11 spec. Waltham A-11 Hacking movement watch. Photo courtesy of hq_sandman_ute. Unfortunately Waltham's good luck ended in 1945. By 1949 the company had failed to pay over 2,300 workers, was at least $4,000,00 in debt and eventually declared bankruptcy. A $6,000,000 Government loan was granted with the aim of paying off some debt, buying new equipment and providing working capital for the company. All but $150,000 of the money was used to pay off the debt. In February 1950, the company closed their doors and gave workers 4 hours notice to pack up and leave. When the doors shut, 108,000 uncompleted watches were left behind . President Truman was even asked about the fate of Waltham and responded by saying "We have done everything that we could possibly do". Then in August, America enters the Korean War and the Air Force places an order for 2,700 airplane clocks. Waltham is back in business. In 1951, Waltham reported a profit of $11,728, the first profit the company has seen since 1945. To source parts unavailable in America, a Swiss subsidiary of the company, Waltham International S.A., was formed in 1954. For the time being, I'm going to put Waltham International S.A. aside and we'll come back to them later. For the next fifty years, in one form or another, they would produce parts and Waltham watches branded 'Swiss Made'. The 1960s saw the Waltham Watch Company first acquired by the Bellance Aircraft Corporation and then by Harry Aronson in 1957. Aronson reorganized the company into two seperate entities, the Waltham Precision Instruments Company and the Waltham Watch Company of Delaware. The Waltham Precision Instruments Company focused on making specialized clocks and chronographs for aircraft control panels. The Waltham Watch Company of Delaware operated out of Chicago and would rename itself to the Waltham Watch Company. Both companies would get into trouble with the FTC over false advertising during the 1960s. Both companies had been importing Swiss movements, branding the Waltham and then used Waltham's history in advertising. Both companies were ordered to desist importing movements and advertising them as being a product of the original Massachusetts manufacture. The Waltham Precision Instruments Company continued making aircraft clocks and was purchased in 1994 by Prime Time Clocks. They renamed themselves Waltham Aircraft Clock Corporation and are still in business today. One of the six U.S. executives that purchased the company from its Swiss owners. During the 1970s, several Swiss brands offered support to the Waltham Watch Company in the form of machine parts that weren't available in the US anymore. That offer of machinery turned into a cash offer and for the first time in 120 years, the Waltham company was no longer American owned. Unfortunately, the new Swiss owners of Waltham , Societe des Garde-Temps, used the once proud American firm as a merchandising tool to sell their Swiss movements. Quality dropped and the workers were not happy. In a moment of patriotic capitalism, six U.S. Executives bought the company back from its Swiss owners in 1978. They knew it was risky but they believed that with Americans back in control, Waltham would be a success again. This echoes a line written about Waltham in the New York Times in 1857 which said " Indeed, the company are satisfied that the reason why we can make watches by machinery, while no other nation can, lies in the average native ingenuity of the American mind ". One executive, Mr. Datria, was so confident in the project that he used money that he and his wife had saved for their children's education. In 1979, Katy Industries purchased for an undisclosed sum all the stock of the Waltham Watch Company. In 1983, Katy Industries sold the brand name and entire inventory of the Waltham Watch Company to M.Z. Berger & Co who still retain the rights today. Long gone are the days of quality products made on the banks of the Charles River. Now you're more likely to see Waltham branded on cheap quartz clocks sold at Sears and K-Mart. But remember Waltham International S.A, the Swiss subsidiary founded in the 1950s? There lies the last remaining hope of the name Waltham producing anything of quality. The aviation inspired Waltham released in 2014. Waltham International continued to watches in Switzerland that were marketed in the United States as Swiss Made. By 1981, Heiwado & Co, a Japanese investment group, had acquired the company and proceeded to restrict sales of the watches to within Japan. The quality of the watches declined and for the next thirty years everyone forgot about Waltham. Then in 2011, Antonie DiBenedetto, an Italian American businessman, bought Waltham International. He aim was to bring Waltham back to its former glory. His first step after purchasing? The same step that Royal E. Robbins and Harry Aronson took, renaming the company. Waltham Watch Company S.A. released their first watch in 2014. This latest iteration of Waltham's are aviation themed and the advertising blurs the lines between Swiss subsidiary and the American founder. It is true that Ernest Shackleton and Charles Lindbergh did both use a Waltham, but it was an American pocket watch, not a Swiss wristwatch. Only time will tell whether Waltham will ever reclaim its former glory as one of America's watchmaking pioneers. It will take far more than a new slogan and company name. The perseverance and ability of the original founders will need to be met and then exceeded. As the new slogan of Waltham reads, "Extraordinary men don't succumb to history. They make it"